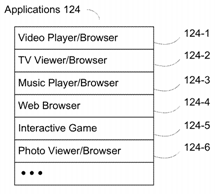 Facebook’s US patent 10,237,150 titled “Visualizing Reach of Posted Content in a Social Networking System” determines virality metrics and reach metrics associated with a content based on interactions with the content and then presents the metrics to the user who posted the content. Figure below illustrates visualizing content item propagation within a social networking system. 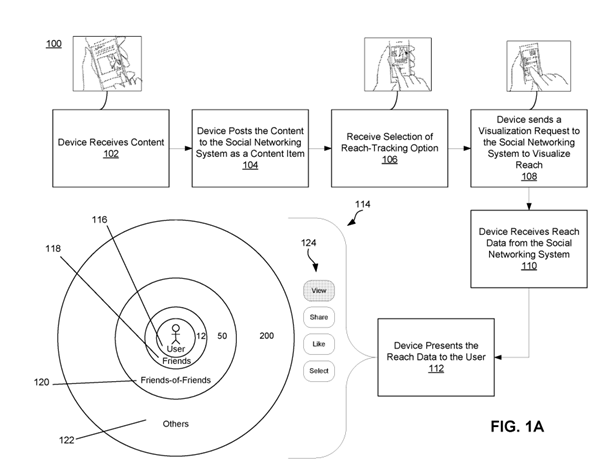 The US patent 10,237,696 titled “Location-based Assistance for Personal Planning” involves maintaining a state of a user in a personal digital assistant and generating a map indicating targets within an area surrounding the user’s present location based on the user state. Using the map, the user is provided with suggestions of an action to be taken with respect to the targets. Figure below illustrates coordination of meeting and travel plans. 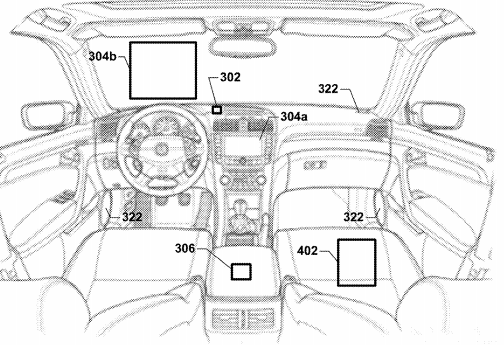 US Patent 10,235,122 titled “Transitioning Displays in Autonomous Vehicles to Increase Driver Attentiveness” relates to an infotainment system that changes the visual infotainment from one display to another based on the change in state of the autonomous vehicle to guide the operator's attention to the external environment of the vehicle. Figure below illustrates elements of the infotainment system. 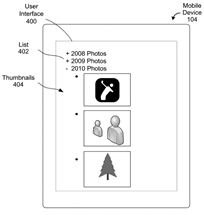 US patent 10,235,712 titled “Generating Product Image Maps” discloses techniques that determine whether an object in an image corresponds to a product available via an e-commerce system. 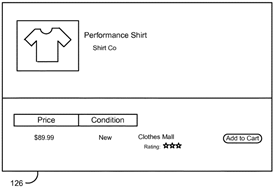 An image map is generated so that a user interface including hyperlinks to the product in the electronic commerce system can be displayed to the user. Illustrations below provide a glimpse of the invention. 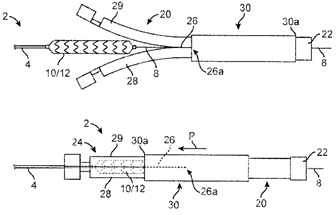 US patent 10,237,640 titled “Deformable Ear Tip for Earphone and Method therefor” reveals a removable component, such as an ear tip, that is suitable for in-ear operation and has a cosmetic deformable outer member. 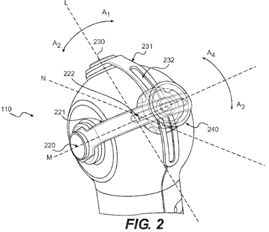 The deformable outer member enables the ear tip to readily conform to a user's ear and attach to a headphone. Figures below illustrate the headphone and a cross-sectional view of the ear tip with an extended inner structure. 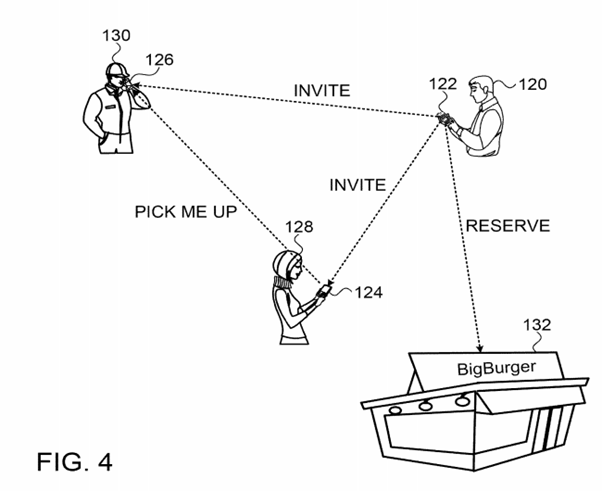 Another US patent 10,235,863 titled “Smart Location-based Reminders” discusses smart reminders provided to a mobile device user in response to trigger conditions, such as a geographical area. 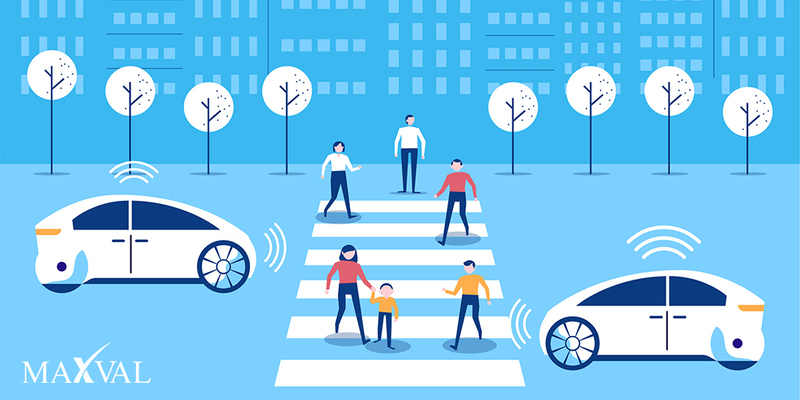 The mobile device location is monitored to identify whether the geographical area is triggered and a location-based reminder is provided to the user. 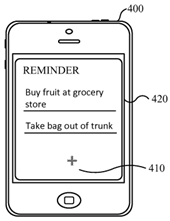 Figures given below illustrate user interface for location-based reminders. 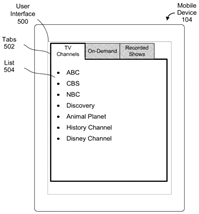 US patent 10,237,328 titled “Contextual, Two Way Remote Control” provides an adaptable remote control for use in media systems. 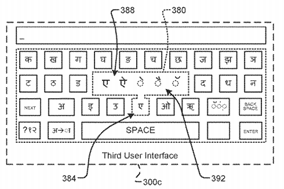 The patented invention has a first device that transmits an information item for display on a second device with an action definition, which includes a command to be sent back to the first device when a user selection is made at the second device. The figures below illustrate the patented idea. 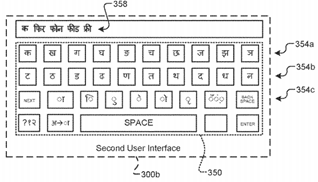 US patent 10,234,958 titled “Input Method Editors for Indic Languages” relates to a method of detecting a selection of a character from the first virtual keyboard and displaying a modified easy-to-use Indic language keyboard on selecting a consonant or vowel. The figures below illustrate the patented idea. US patent 10,234,002 titled "Deflection Mechanism" relates to a device having a steering mechanism and an actuation system designed for one-fingered operation during surgeries. The device is intended to be used with a catheter or endoscope while navigating pathways within a patient's body. Figures below illustrate the device and the steering mechanism. Another patent, 10,231,830 titled "Kidney Capsule Leaflet Material" discloses prosthetic heart valves that use cross-linked kidney capsule tissues as leaflet material. Figure below depicts an exemplary prosthetic heart valve made of kidney capsule tissues. 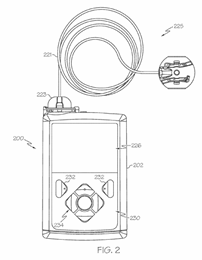 US Patent 10,232,113 titled "Infusion Devices and Related Methods and Systems for Regulating Insulin on Board" describes an infusion device designed to deliver insulin to a user. The device uses a mechanism based on the relationship between the current amount of active fluid in the body and a threshold amount to automatically alter the operation of the infusion device. Figure illustrates the fluid infusion device engineered for use in the infusion system. 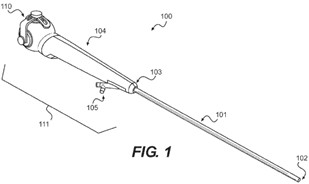 US Patent 10,231,770 titled "Tumor Ablation System" describes a system that is also used for repair of vertebral compression fractures. Figure below depicts the system having a microwave antenna, and a balloon designed to be attached to the end of antenna. 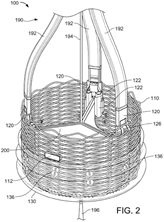 Abbott's patent 10,232,147 describes a method for assembling a scaffold-balloon catheter, used in drug-eluting medical devices. 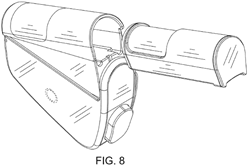 The invention is also directed to sheaths used to maintain a polymer scaffold balloon engagement and discloses methods for applying the sheath, that enable easy removal by a doctor in an intuitive manner without disrupting the crimped scaffold-balloon engagement. Figures below illustrate two different views of the polymer scaffold-balloon catheter assembly with a pair of sheaths placed over the crimped scaffold. Fused tricyclic heterocyclic compounds, such as those claimed in Merck’s recent US patent, 10,233,193 can be used as inhibitors of HIV Integrase – an enzyme that is vital for viral replication. With its replication mechanism inhibited, the virus multiplication process is put on hold, and therefore treatment and prevention of HIV is possible. 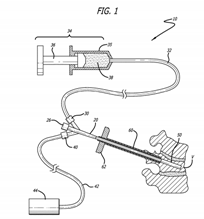 Figure below depicts an injector and its insert from the recently granted Novartis design patent D843,563. US patent, 10,233,229 discloses an engineered monomeric antibody fragment, in which the Fc portion comprises engineered N-linked glycosylation sites in the CH3-CH3 dimerization interface. 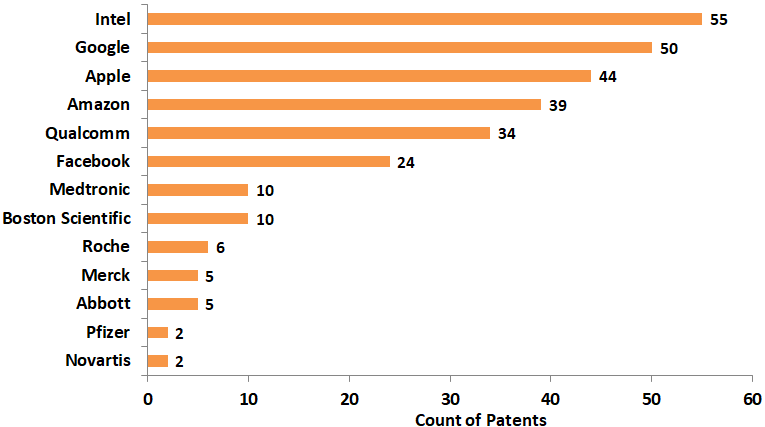 The patent also includes a sequence listing related to the invention. Roche’s recently granted patent, 10,231,639 divulges a method of diagnosing whether a person with no known history of atrial fibrillation is suffering from the condition. 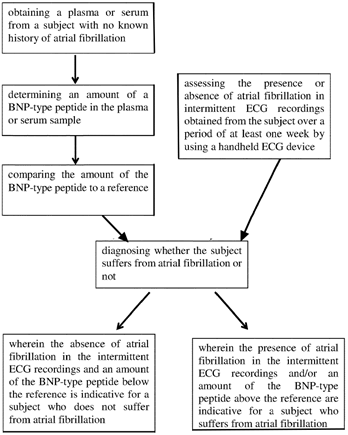 The method, detailed below, includes determining the amount of NT-proBNP in a sample from the patient, and combining the results from the sample with the assessment of intermittent ECG recordings obtained from the person over a week using a handheld ECG device.